Completing or updating your estate plan is not only a responsible accomplishment, it can provide you with much needed peace of mind in uncertain times. Estate planning also offers you the opportunity to take a critical look at your important relationships and reflect on your values as you decide not only who will make important decisions on your behalf, but also who your intended beneficiaries will be, and how and when they will receive your belongings. 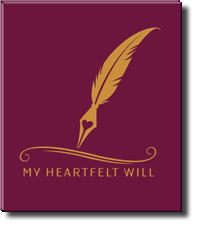 It is not only comforting for our loved ones to receive a personal written legacy, it can also be satisfying for you to know that your loved ones will receive your personal written legacy. Parents would not wish to see their children fighting over personal objects. Knowing that conflict can easily surface over personal assets, what can we do? Let my booklet guide you through this process before your not here to fill in all the colorful details of your family and life wishes and for loved ones to carry on your legacy with full confidence and understanding of your most important and personal feelings and desires. Share your ideas, wishes and decisions regarding your financial and health care preferences. Talk to the person you are considering appointing to make medical or financial decisions. Avoiding family crisis and providing a foundation for harmony and proper care with no suprises is imperative. Copyright © 2012 - 2013. Stephen B. Yim. All Rights Reserved. it is not intended to serve as a legal guide or as a substitute for your estate plan.